Since the Second World War, the Catholic Church has been involved in a deliberate process of rethinking its relationship to Judaism and the Jewish people. Especially in the wake of the Second Vatican Council, Catholic-Jewish relations have improved tremendously-on local, national and international levels. As several Jewish and Catholic leaders have noted, there have probably been more positive encounters between Jews and Catholics in the last sixty years than in the previous fifteen hundred. These years have been a time of renewal, hope and growing cooperation between these two faiths evidenced by the multitude of Catholic-Jewish dialogue groups, organizations and institutions that have emerged throughout the world since Vatican II. The following listing of events provides a taste of how relations between Catholics and Jews have been changing and developing in recent decades – and this is a journey that has only just begun. 1947 Ten Points of Seelisberg: An international conference of Jews, Protestants and Catholics, gathered in Switzerland to confront the reality of anti-Semitism and the Holocaust, issues a series of ten principles to guide Christian teaching and preaching when referring to Jews and Judaism. 1959 Good Friday Prayer: Pope John XXIII modifies the intercessory prayer for the Jews in the Church’s Good Friday liturgy by suppressing the term “perfidious (faithless, unbelieving) Jews.” Over the years, the prayer continues to undergo revision to bring it more in keeping with the renewal in Church teaching about the Jews and Judaism. 1960 Pope John XXIII and Jules Isaac: Jules Isaac, a noted French Jewish historian, presents Pope John XXIII with historical documentation on Christian anti-Judaism and attitudes which contributed to the Holocaust. 1965 Vatican II and Nostra Aetate: Called by Pope John XXIII, the Second Vatican Council (1962-65) issues Nostra Aetate (The Declaration on the Relationship of the Church to Non-Christian Religions.) Nostra Aetate No. 4 addresses the issue of Christian attitudes towards the Jewish people. This document marks the end of a long era in the history of Catholic-Jewish relations and the beginning of a new age of dialogue between the two ancient communities. 1974 New Vatican Commission: What was formerly the Office for Catholic- Jewish Relations – created in 1966 and attached to the Secretariat for the Promotion of Christian Unity – is renamed the Holy See’s Commission for Religious Relations with the Jews. 1978 Karol Wojtyla elected Pope: From the beginning of his twenty-six year pontificate, the newly elected Pope – John Paul II – sets out to build a new relationship between the Church and the Jewish people. 1980 Pope John Paul II – A Covenant Never Revoked: Addressing the Jewish community in Mainz, Germany, John Paul II insists on the eternal validity of God’s covenant with the Jews, a theme repeated in subsequent Church teachings. 1985 “Notes on the Correct Way to Present Jews and Judaism in Preaching and Catechesis in the Roman Catholic Church”: This Vatican document provides a helpful reference for those who teach and preach about Jews and Judaism and wish to do so in accord with the current teaching of the Church. 1993 Israel-Vatican Accord: Israel and the Vatican establish full diplomatic ties, easing decades of diplomatic tensions between the two states. 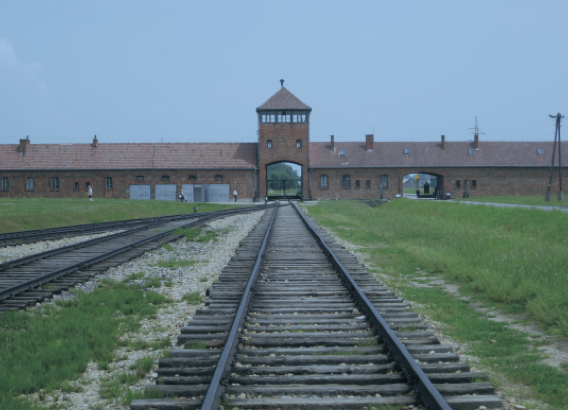 1998 “We Remember: A Reflection on the Shoah”: In a long -awaited document on the Holocaust, the Church expresses repentance for those Christians who failed to oppose the Nazi persecution of the Jews. 2000 Visit of Pope John Paul II to Israel: Following a Lenten liturgy in which he prayed for God’s forgiveness “for those who have caused these children [the Jews] to suffer” Pope John Paul II undertakes a historic visit to Israel, during which he visits Judaism’s holiest site, the Western Wall, and places in the Wall a copy of his Lenten prayer. 2000-2002 Historic scholarly documents: In 2000, an interdenominational group of Jewish scholars issues Dabru Emet, a consensus document offering eight suggestions about how Jews and Christians might better relate to one another. In 2002, the Christian Scholars Group on Christian -Jewish Relations publishes its response to Dabru Emet, entitled “A Sacred Obligation”. 2002 “The Jewish People and Their Sacred Scriptures in the Christian Bible”: The Pontifical Biblical Commission publishes a thorough study of the relationship between the New Testament and the Hebrew Scriptures. The document notes that Christians have much to learn from Jewish interpretation of the Bible and confronts the problem of anti-Jewish passages in the New Testament. 2002 Bilateral Commission of the Israeli Chief Rabbinate and the Holy See: As a result of Pope John Paul’s visit to the State of Israel in 2000, the Chief Rabbinate of Israel and the Holy See established a joint commission which has continued to meet annually, to address topics of shared concern, and to strengthen the relationship between the Vatican and the religious leadership of Israel. Together hey have explored the role of Scripture in each faith’s central teachings, the sanctity of human life, freedom of conscience, religious education and other significant matters. 2005 Joseph Ratzinger elected Pope: As a cardinal, Pope Benedict had been a close collaborator with Pope John Paul II in many of his historic interfaith initiatives and writings. In his homily for the Mass inaugurating his papacy, the new Pope specifically mentioned the Jews among those to whom he extended greetings: “With great affection I also greet … you, my brothers and sisters of the Jewish people, to whom we are joined by a great shared spiritual heritage, one rooted in God’s irrevocable promises.” His first official correspondence as Pope was a letter of congratulations to the Chief Rabbi-emeritus of Rome’s Great Synagogue, Dr. Elio Toaff, on the occasion of his 90th birthday. On April 28, 2008, Pope Benedict was the guest of Rabbi Arthur Schneier and the congregation of Park East Synagogue. In his remarks, the Pope said: “”I find it moving to recall that Jesus, as a young boy, heard the words of Scripture and prayed in a place such as this,” and he encouraged everyone present “to continue building bridges of friendship”. In January 2010, Pope Benedict marked Italy’s annual “Day for Judaism” by visiting the main synagogue of Rome, repeating the historic visit first made by his predecessor. There, he invited Jews and Christians to come together to proclaim the religious and ethical teachings they share: “Reawakening in our society openness to the transcendent dimension, witnessing to the one God, is a precious service which Jews and Christians can offer together … Bearing witness together to the supreme value of life against all selfishness, is an important contribution to a new world where justice and peace reign …”. 2007 Pope quotes Jewish rabbi-scholar in his own book about Jesus: In April, Pope Benedict published the first volume in a trilogy, “Jesus of Nazareth”. In it, he quotes extensively from a 1993 book by Rabbi Jacob Neusner, a distinguished scholar of Judaism, called A Rabbi Talks With Jesus. 2009: Visit of Pope Benedict XVI to Israel and the Palestinian Territories: From May 8 to 15, Pope Benedict visited the Holy Land, meeting with religious and political leaders in both Israel and the Palestinian Territories, visiting major Jewish sites and expressing the solidarity of the Catholic Church with the peoples of that region. 2009 International Council of Christians and Jews issues “A Time For Recommitment” (The Twelve Points of Berlin): More than sixty years after the ICCJ published its seminal “Ten Points of Seelisberg,” the “Twelve Points of Berlin” is issued in July, as an attempt to address key topics in Jewish-Christian relations in the light of the considerable progress in this dialogue, and to provide guiding principles for the future. In 1582, Matteo Ricci, a Jesuit barely thirty years old, entered China looking more like a Buddhist monk than a priest. Like Francis Xavier and later Mother Teresa of Calcutta, Matteo firmly believed that cultural adaptation was essential for missionaries and that missionaries must adapt to the culture surrounding them unless in some way that culture directly contradicted the Christian faith. China which considered itself the most ancient civilization of the world believed itself to be the only “real” civilized country in the world. The Chinese did not believe foreigners had anything of value to teach them and feared the destabilizing effects a new religion might introduce. China’s government had, therefore, in the past rejected every attempt made to introduce Christianity to China. Matteo Ricci was born at a unique time when the scientific and technological innovations of the the Renaissance days had reached full bloom. Matteo had a bag of tricks with him that would fascinate the Chinese. And that cornucopia of information, new ideas and gadgets included clocks, prisms, composition of light, perspective, mathematics applied to physics, map-making and printed books. Ricci and his Chinese fellow-workers devised a system to write Chinese phonetically. He then translated scores of western scientific works into Chinese, works that were printed along with a primer on Christian doctrine. Unbelievably, Ricci was admitted into the Emperor’s court in the Forbidden City. The Emperor was absolutely fascinated by Ricci and clocks. Ricci had learned much from his mentor, the famous Jesuit Christopher Clavius, a mathematical genius (the greatest mathematician of his time), the maker of the Gregorian Calendar and a supporter of Galileo. Possessing a unique sense of history, the Chinese people later often asked: “Why did we not hear of Christianity earlier? Why is it all new and strange to us? Had God forgotten us for all the centuries of our ancestors?” The answer came later, in 1623, when a monument was discovered and authenticated by many scholars. It was a long inscribed tablet in Chinese relating a Syrian mission to China which started about 600 AD in the days of the T’ang dynasty. Sadly, persecutions suppressed this and later efforts. By the time Ricci died in 1610, he had brought more than four hundred converts to Christianity. Within years of his death, that number grew to one hundred and fifty thousand. Matteo Ricci was buried inside the Forbidden City and is the only westerner ever to have that honor. 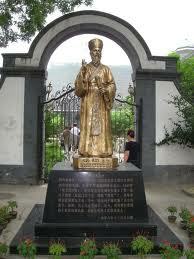 On his grave marker is inscribed the list of high ranking Chinese who had become Christians. This grave preserved from desecration during the rampage of Mao’s Red Terror. Robert Bellarmine had also been an advocate of Galileo and Ricci and had supported the permission granting to Chinese priests the permission to celebrate the Mass in Chinese and cover their heads according to the Chinese custom. With Papal approval, the monumentally difficult task of translating the Bible into Chinese began. However, the vice-president of the Board of Rites in Nanking destroyed those plans by launching a virulent persecution against Christians. The Sisters of Sion Congregation was founded on a threefold commitment: to the Church, to the Jewish people and to a world of justice, peace and love. Such a unique vision came to be through a Jewish man, Theodore Ratisbonne, born in Strasbourg , France in 1802. His family believed deeply in education and established a school in that town and Theodore was its principal. Meanwhile his own studies led him to study Philosophy with a group of young men. Interestingly, they were guided spiritually by a very wise and learned Catholic woman, Louise Humann. She led him to an in-depth reading of both Jewish and Christian scriptures. Through her, he saw with great clarity the link between the two sacred texts. Always after, he proclaimed that the Old and New Testaments formed one continuous expression of God’s continued faithfulness and love. Together they reveal God’s all embracing love and the biblical call to act to bring about God’s reign. When Theodore chose to be baptized by Louise in 1827 he had to relinquish his role as principal and experienced a separation from his family. Further study prepared him to be ordained a priestin1830andalongwith theother young men in his group taught near Strasbourg. In 1840, he moved to Paris and his reputation as a preacher and as a sound spiritual director of women grew. His thoughts and words were grounded in the Scriptures, a practice that was not so common at the time. He was so steeped in the Word of God that his own vocabulary was biblical in tone and values. Many of the women he guided spiritually urgedhimtoformareligious community but he was hesitant until an event of January 20, 1842. His youngest brother, Alphonse, visiting Rome, had an experience of the Blessed Virgin Mary which he simply called ‘light’. It led him to be baptized within 12 days andlaterbecomeapriest.Thiswas a sign for Theodore to form a community of religious women. Both brothers, henceforth shared a vision to ‘journey by the light of the Word of God and Mary’. At the time of Theodore’s death in 1884, the Sisters of Our Lady of Sion were established equally in three distinct areas, one third in each of Muslim countries, in Orthodox countries and in CatholicEurope.Theodore insisted we have hearts “ bigger than the world”. Sr. Audrey Gerwing (a Catholic Sister of Sion) writes of the experience she and Sr. Marge Zdunich had this summer. “Marge and I began our pilgrimage to Poland long before we ever left Canada. We spent many hours preparing, reading, talking and discussing what we wanted to see and experience in our time in Poland. All the prep work bore much fruit in the 10 days we were in Poland. 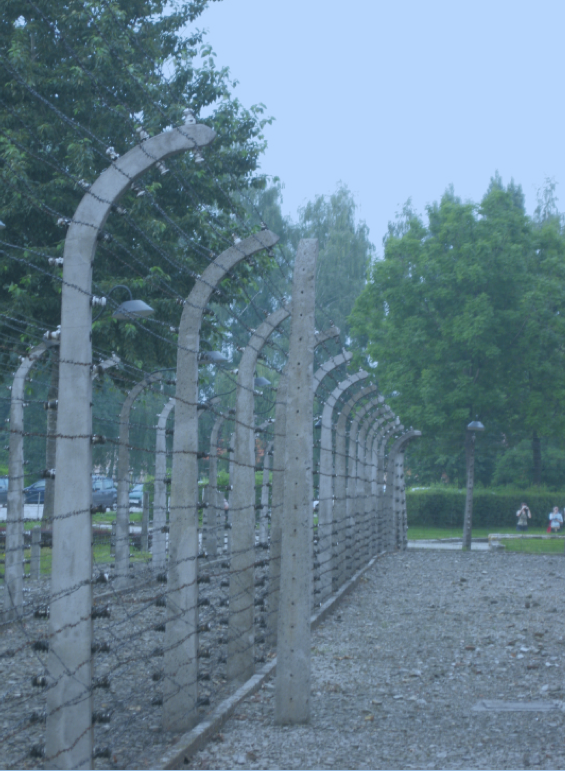 We began in Warsaw where we followed the paths of the Jewish People from the beginning of their life in Poland and ending with the death of over 500,000 Jews in the Warsaw Ghetto. There really was NOTHING to see–nothing was left standing; it had all been destroyed by Hitler and his henchmen; not a stone was left upon stone. So we had to do our own investigation and searching. It was like trying to find the needle in the hay stack–only the hay stack had been removed! The Ghetto of 1940 was huge and ran the entire north – south of Warsaw covering over 2.4% of city of Warsaw; small by any modern standards and yet contained over 400,000 Jews. After much walking in and out of small streets, and corners we finally found plaques that revealed some of the important places in the ghetto such as Mila 18, the last stand of the resistance ghetto fighters, the “umshlaplatz” where the Jews were rounded up and put on transports, one synagogue that had been restored since then. And finally we found the old cemetery dating back from the 12 th century. In this cemetery there were many tombs for those who died in the ghetto. The Apostolic and Nicean Fathers preserved the original teachings of Jesus Christ which he gave to the Apostles and are abiding witnesses to this teaching, also referred to as “Sacred Tradition.” Together, Sacred Tradition and Sacred Scripture are primary and foundational to Christian Doctrine. Both flow from the same source: Christ. Sacred Tradition predates the Church Fathers; the Fathers did not invent Sacred Tradition, but are simply “timely witnesses” to Sacred Tradition which comes from Christ Himself. To know the Church Fathers is to know Truth. The Fathers teach with authority and are witnesses to the unbroken continuity of Church teaching. It’s interesting to note that the early Church Fathers did not include their own writings in the canon of Sacred Scripture. Rather, they included only the writings of Christ’s apostles up to the writings of John. What the Apostles and Church Fathers warned the Early Church of still holds true today. Paul warned that heretical teachers would pervert Scripture. Augustine explained that heresies would arise through Scripture being misunderstood properly. Essentially, heresy is stressing certain passages of Scripture more or to the exclusion of other passages, interpreting Scripture at will and losing sight of the unity that exists in Scripture. In short, heresy can occur when Scripture is interpreted or misinterpreted out of context of the cannon of Scripture in its entirety. 14. That we may safely trust to ourselves in matters of Faith, and need no other guide. Unfortunately, Luther and Calvin originally cited the Church Fathers in justifying their interpretations, but, by emphasizing the doctrine of “Scripture alone,” they explicitly excluded the teachings of the Fathers of the Church. St. Vincent of Lerins summed it up in a formula: “The Truth is what has been taught everywhere, always, and by all. Blessed John Henry Newman, described the nature of their testimony more analytically: “The Fathers do not say, ‘This is true because we see it in Scripture’ – about which there might be differences in judgment- but, “this is true because in matters of fact it is held, and has ever been held, by all the churches down to our times, without interruption, ever since the Apostles.” Newman maintained that “the Church teaches that the ‘common doctrine of the Fathers’ may not be opposed.” He further wrote that this “consensus of the Fathers” is best discerned by the living Magisterium of the Church. The First Vatican Council (1869-70) confirmed the decision of the Council of Trent (1545-63) saying that “it is not permissible for anyone to interpret Holy Scripture in a sense contrary to this, or indeed against the unanimous consent of the Fathers.” Newman was cited consistently in discussions during Vatican II discussions. Researching the writings of the Church Fathers may also lead you to a new home, a new Church. It was Paderewski’s aunt who convinced her sister that she should not abort her child because she might be depriving the world of a great person. The world of music would have never had the privilege of hearing this magnificent pianist, the pride of Poland. Had Herman von Reichenau lived in our times and been aborted because test showed he had many serious crippling defects, the world would have been deprived of a superb chronicler, mathematician, poet, musician. But fortunately he was born in 1054 and when his parents could not assist him properly, they requested that the abbot of Reicheneau take him into the monastery for care. There is was discovered that he was uniquely intellectually gifted. Conquering his physical weakness with his strong will, he showed early his genius in theology, astronomy, mathematics, music and wrote on those topics. In addition he had a great proficiency in languages including Greek, Latin, Arabic. He also constructed musical and astronomical instruments. Having taken monastic vows, Herman, the cripple, as he was known to all, lived a life of virtue and was loved by all because of his charming and kindly personality. To him we are indebted for the prayer with which we end the rosary: the Hail Holy Queen which he composed to music and whose words reflect his sufferings and recourse to the heavenly mother God gave us while on the Cross. The beloved Romanian monsignor, who died in prison in 1954 following two years of torture, was beatified in Bucharest. BUCHAREST, Romania — The life of a saint can be part parable, part thriller and, often, part nightmare — but always 100% inspiration. A beloved Romanian priest, Vladimir Ghika, was beatified Aug. 31 before 10,000 people at a Mass in Bucharest celebrated by Cardinal Angelo Amato, prefect of the Vatican’s Congregation for the Causes of Saints, together with Cardinal André Vingt-Trois of Paris, Romania’s sole cardinal, Lucian Muresan, and more than 200 other priests and bishops. Msgr. Ghika’s sacred story reads like a novel with a tragic ending. Descended from French and Romanian nobility, Ghika was born on Christmas in 1873 in Constantinople, where his father was serving as ambassador to the Ottoman Court. He was baptized into the Orthodox faith of his parents. Educated in medicine, botany, art and political science in France, he was ultimately drawn to theology and thus to Rome, where he converted to Catholicism at age 29. On the advice of his friend Pope Pius X, this refined, cosmopolitan prince — he spoke 22 languages — became a lay missionary, igniting charity efforts on behalf of the Church in Europe and beyond, traveling to the Congo, Tokyo, Sydney and Buenos Aires. Back in his fatherland, he created a foundation for Catholic charity work: establishing the first free medical clinic in Bucharest and the country’s first ambulance service. He traveled to dangerous war zones to care for the wounded and refugees as well as victims of cholera epidemics. During World War I, the Vatican gave him diplomatic assignments on top of his humanitarian work. It is said that Pope Pius XI gave him an assignment to go to Russia to convert Lenin, but when he arrived, Lenin had just died. Most of these global missions were financed through personal wealth. Finally, Vladimir Ghika was ordained at age 49 by the cardinal of Paris in 1923. He spent the next seven years ministering in the poorest, most dangerous part of Paris, Villejuif. In August 1939, on the eve of World War II, he returned to Romania as the first priest, with papal approval, to celebrate both the Latin Catholic Mass and the Byzantine-rite liturgy, locally known as the Greek Catholic Church, which follows Orthodox ritual while being loyal to Rome. At the time, Romania’s Catholic community comprised almost 12% of the population: 1.4 million Greek Catholics and approximately 700,000 Latin-rite Catholics. Known to all as “Monsignor,” his base was a small hospital chapel in Bucharest, Sacre Coeur, from where he crisscrossed the city, carrying a cardboard valise with priestly essentials. Europe’s war cataclysms multiplied demands on the servants of Christ. Msgr. Ghika ministered to refugees from Poland and elsewhere and to other victims of war. In 1944, American and British air forces bombarded strategic resources in Romania, such as oil fields utilized by the German army. Some 3,000 Romanians were killed in these air attacks. Mgsr. Ghika habitually accompanied terrified citizens into bunkers. Every week, he celebrated Mass at a jail for prostituted women. Once while there, aerial bombing erupted. Instead of leaving the prison for shelter with the guards, the priest stayed to pray with the stigmatized prisoners who had no chance of escape if they were hit. “To console another person in God’s name is our power to offer something more true than pain,” the holy man wrote. As World War II ended, the Soviet Union positioned itself to take over exhausted neighbors such as Romania. With writing on the wall that the new communist leadership being imposed would not be friendly to property owners or priests, Vladimir Ghika’s family urged him to leave alongside others fleeing communist oppression. He even passed up a spot on the king’s own train (Romania was a constitutional monarchy), which left the country for good in December 1947, when the communists forced King Michael to abdicate or die. Between 1948 and 1952, every Catholic bishop and auxiliary in Romania was arrested and jailed. The new regime set out to create a new Catholic hierarchy, appointed by the political power and no longer loyal to the Holy See. The project failed, as each Catholic cleric chose punishment over capitulation. In 1952, the Securitate (political police) came for Msgr. Ghika, grabbing him and shoving him into a car as he walked down the street in priestly garb. “Each of us presented ourselves to him in turn. When I gave my name — because I had never met him personally — he took my hand and said, ‘I know your sister and brother. We have prayed for you. You are blessed by God for the Church,’” Father Boila remembered. “Suddenly, it was as though I had returned home, a place I didn’t know how much I missed. It was a gaze I’ll never forget. He changed my life,” Father Boila concluded. Throughout his internment until his death on May 16, 1954, Msgr.Ghika was a medical and spiritual doctor to the inmates, especially the young. Thirty direct witnesses testified to Msgr. Ghika’s holiness while in jail, where various sociopathic torture techniques were employed to get him to confess to being a traitor for communicating with the Vatican. Msgr. Ghika was starved. He was beaten. Guards ordered dogs to attack him. Over 80 times, he was tortured with electric shocks and strangulation. A firing squad was assembled to shoot him, but it was all a game, as they used blanks; it was a sick stunt to make him confess. He didn’t. Eventually, he lost his eyesight and hearing as a result of brutality. According to witnesses, the only time Msgr. Ghika cried was when the jailers denied him a Catholic priest to hear his last confession. On his prison deathbed, he was assisted by men who happened to be in Jilava at the same time: an Orthodox priest, a Protestant minister, a Tartar imam and a young Jewish inmate. The enthusiasm with which Blessed Vladimir Ghika’s beatification was received — a standing-room-only crowd packed a huge exhibition hall for the Mass, which was broadcast live on TV — shows that holiness is a story, no matter how tragic in real time, that ends in triumph. For Archbishop Ioan Robu of Bucharest, who guided relentless efforts to assemble documents from around the world on behalf of this martyr’s cause, Blessed Vladimir is especially luminous as a model for believers today. Register correspondent Victor Gaetan writes from Washington. National Catholic Review. Originally appeared on 9/6/13.